Opt for the Carrera S if you can afford it, as the chassis comes even more alive with the extra power. By the same token, unless you're just a manual-transmission nut, the re-tuned PDK in the 2012 911 is brilliant for both track and daily driving, and well worth the extra cash. The 2012 Porsche 911 is one of the best buys in the sports car market, and quite possibly the most practical, luxurious car at its performance level available. The 2012 Porsche 911 marks the arrival of the seventh generation of Zuffenhausen's legendary sports car, and, in almost every way, it's the best. After 48 years of production, perhaps it should be, but improving an icon while retaining its essential character is a difficult task. That's exactly what Porsche has done, however. The 2012 911 is very different in many respects--it's almost four inches longer in wheelbase, two inches wider in front track, and is lighter, leaner, and cleaner-looking than its predecessor--but at the same time, it's still imbued throughout with the essence of the 911. 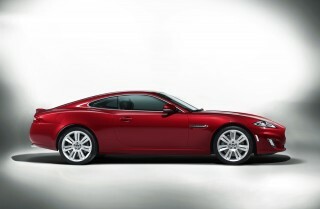 That essence includes the iconic shape, rear-engine mounting, tremendous performance, and luxurious comfort. Balancing those aspects, many of them conflicting, is perhaps what the 911 does best; despite generating 350 horsepower in Carrera trim and 400 horsepower in Carrera S guise, the new 911 manages to be more fuel efficient than the last. It does this in base form with a new 3.4-liter direct-injection engine that revs readily and delivers its power higher in the rpm band. Paired with either a seven-speed dual-clutch PDK transmission or a world-first seven-speed manual gearbox, the standard 2012 Carrera is a serious sports car in its own right. In Carrera S trim the same transmissions are available, but they're put to even better use with power from a 3.8-liter engine. Both models are also available with a Sport Chrono package that adds launch control on PDK-equipped models, shaving two tenths of a second from the already impressive 0-60 mph times, which register at 4.4 seconds for the Carrera and 4.1 seconds for the Carrera S.
Inside, the 2012 911 is a benchmark of fit, finish, and material selection, finding a way to pair modern style with the necessary comfort and convenience demanded by today's buyer. The only quibble to be found is in the grudging concession toward American tastes--the collapsible cup holders. While they're sturdy and secure enough for a 12-ounce can or a 20-ounce bottle, there'll be no Big Gulping in the 2012 911--not that there should be. The rear seats, as seat-like as they appear to be, are best left to very small children, as even moderate-height adults up front will reduce rear leg room to near zero. There's even a considerable amount of cargo room for a sports car of any stripe, let alone one with this much performance. The front cargo area will easily hold enough gear for a weekend's getaway for two, and possibly more. A week might be possible if the back seat is put to its most likely use as a secondary cargo space. But most importantly, there's room for just about anything you're likely to need during an average day, including shopping trips. It's a very practical sports car. And when it comes to practicality, safety is at the top of many lists. While the 2012 Porsche 911 hasn't yet been rated by the NHTSA or IIHS, it is equipped with a wide array of safety equipment, including a full complement of airbags, traction and stability control, anti-lock brakes, and Porsche's proprietary Torque Vectoring Control and Dynamic Chassis Control. 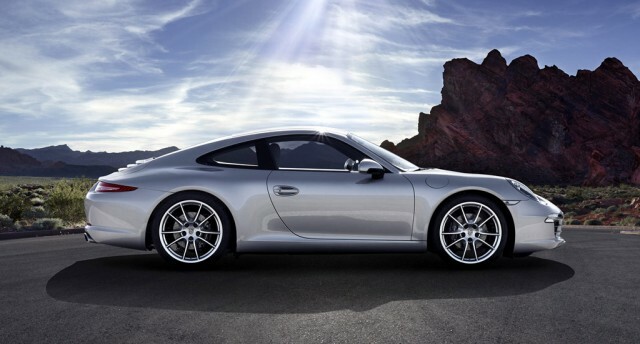 Melding modern style with classic design themes, the 2012 Porsche 911 retains its heritage while moving forward. Though it shares the general theme and proportion of the 911s before it, the 2012 model, bearing chassis code 991 for insiders and aficionados, wears them in a much different manner. The nose is still low and sloped, the fenders still rise to package the wheels and headlights, and the fastback coupe profile still drops rapidly over the engine cover, but a wider front track, slightly longer wheelbase, and skilfully sculpted arches and curves offer a brand-new interpretation. Inside, the 2012 Porsche 911 carries off an adaptation of the Panamera's cabin with equal if not greater skill; though the center console is perhaps a bit button-heavy, it's much sleeker and more intuitive than the Panamera's own, while the dash, steering wheel, and other details fit perfectly with the 911's sporting aptitude and daily-driver comfort. 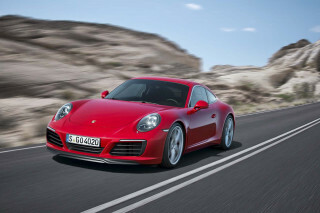 Quick, efficient, and more capable than ever, the 2012 Porsche 911 raises the bar for the brand and its competitors. The Carrera and Carrera S are the only models updated to the new 991 basis thus far--the Cabrio, Turbo, GT3, and other variants are yet to come. 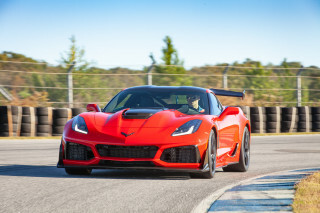 Changes for 2012 include a wider front track for better grip, a slightly longer wheelbase that increases high-speed stability, a new electric power steering system, a seven-speed manual transmission, a re-tuned seven-speed PDK transmission, and a new base engine, plus upgrades to the Carrera S's engine. 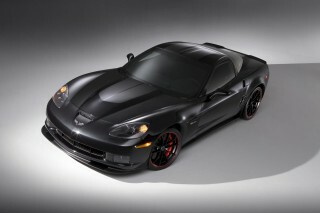 The base engine, a 3.4-liter flat six, packs 350 horsepower thanks to direct injection and a free-revving nature. The Carrera S sticks with a 3.8-liter six good for 400 horsepower. 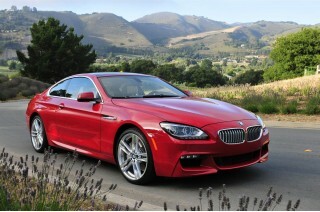 Either can be paired with either the seven-speed manual or the PDK transmissions. With the PDK, the Carrera gets to 60 mph in just 4.4 seconds, while the Carrera S does it in 4.1 seconds. Add the Sport Chrono package, which adds launch control, and you'll take another 0.2 seconds off either car's 0-60 mph run. 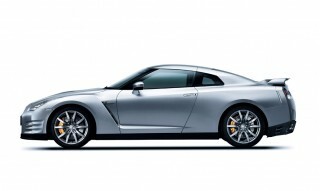 Top speeds clock in at 179 mph and 188 mph respectively. The PASM (Porsche Active Suspension Management) system, optional on base and standard on S models, offers dynamic suspension response to the road and driving conditions through a series of settings from Comfort to Sport Plus. Porsche's advanced Dynamic Chassis Control (PDCC) is also available on the S model. The PDCC system adjusts the car's roll stiffness through the use of anti-roll bars. The Sport Chrono package is also available on the base Carrera--and as the name indicates, a key element of the package is a stopwatch on the dash that ties into the car's computer to enable lap timing and other functions. Handling is excellent, with less of the 911's historical tail-wagging antics and slightly more understeer despite the wider front track. Losing 100 pounds from the previous 911, the 2012 model feels nimble, easy-to-place, and is stunning on the brakes. Our one quibble with the new 911's package is the electronic power steering, which, while the best implementation of EPS we've driven, still comes up short of traditional hydraulic systems in terms of feel and communication. 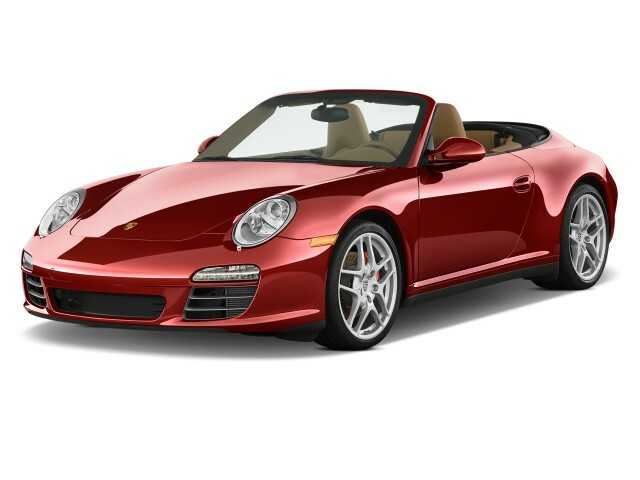 The 2012 Porsche 911 offers excellent fit, finish, and function, and sets a benchmark for the sports car class. Leather predominates in the seating and surfaces of the new 911, soft and pliable yet still durable-seeming. Aluminum accents highlight key design elements, and high-quality plastic switchgear handles most of the controls. Both front seats are very comfortable, either with the standard base seats or the pricey sport seats, though the extra bolstering and adjustability of the sport seats may suit a wider range of body types as well as holding occupants in place with more authority during aggressive maneuvers. In the back, leg room is still at a premium despite the extra wheelbase, but children should be fine as long as the front-seat occupants aren't particularly tall. The trunk (up front) is spacious, and deeper than you'd expect given the 911's low-slung stance. In the cabin, there's not as much room as you might want, though Porsche does make a concession to drivers who like to stay hydrated with a pair of pop-out cupholders in the dash. It hasn't yet been crash tested, but the 2012 Porsche 911 offers an impressive array of standard safety equipment. Neither the National Highway Traffic Safety Administration (NHTSA) nor the Insurance Institute for Highway Safety (IIHS) has crash-tested the Porsche 911, as is common with expensive sports cars, but it packs a healthy set of standard and optional safety equipment. Integrated into all 911s, Porsche Stability Management (PSM) offers the benefits of a stability and traction control system with gradations depending on the performance mode selected, all tuned to deliver effortless performance while keeping the car pointed in the direction the driver intends--even if they mishandle the car. A standard set of airbags, including front and side units, plus Porsche Side Impact Protection (POSIP) which adds thorax airbags in the seats and an upward-inflating airbag in the door panel, plus side impact protection in the doors. Optional ceramic composite brakes can take the braking ability of the 911 even higher, and the aluminum-and-steel body is designed from the ground up to absorb impact energy while protecting the occupants. Though it starts with a strong set of standard features, Porsche's approach to add-ons with the 2012 911 mean the price tag can climb quickly if you tick many options boxes. Porsche's infotainment system, Porsche Communication Management (PCM 3.1) is standard on all 911s, and includes audio, navigation, and phone-integration functions. A large 7-inch touchscreen handles commands, though a rotary pushbutton interface is also fitted. The standard audio system handles radio, DVD audio, CDs, and MP3s, with an available upgrade to a six-disc CD/DVD changer. The navigation is hard drive-based, with maps in 2D and 3D perspectives. Opt for the upgraded Burmester surround-sound system and you'll get not just 12 channels pumping a total of 821 watts, including a 300-watt subwoofer, you'll get Air Motion Transformer tweeters and some of the best sound we've heard in a car. A Bose system is also available, though we'd pick the Burmester. While it's not yet rated, and not built for maximizing gas mileage, the 2012 Porsche 911 is conscious of the environment and takes innovative steps to reduce its carbon footprint. While the 2012 Porsche 911 isn't focused first on extracting the most mileage from its fuel, but rather on performance, style, and comfort, it nonetheless makes some interesting steps toward reducing its thirst for fuel. Primary among these is the introduction of automatic start-stop, which shuts the car's engine down when paused momentarily and seamlessly re-starts it when it's time to head off again. Auto start-stop is standard on all new 911s. On top of that, the new 911 adds a new coasting feature, helping to further improve mileage on deceleration, but only in PDK-equipped models. The EPA hasn't yet rated the 2012 Porsche 911's fuel efficiency, but Porsche estimates it will reach as high as the upper 20-mpg range. It's had some bugs but absolutely love it! "No substitute" is not just a slogan! I have been driving the 911 Cabriolet for 8 months now, and I think I love it more every day. It is rock solid for a convertible, the fit and finish is world class, and the mechanicals have worked flawlessly... I have been driving the 911 Cabriolet for 8 months now, and I think I love it more every day. It is rock solid for a convertible, the fit and finish is world class, and the mechanicals have worked flawlessly so far. Even though I only have the base engine, it is the smoothest revving power plant I have ever owned. Very docile at low RPM, but roars to life above 4K. A supercar that will not wear you out as a daily driver. The PDK transmission is spectacular. Feels just like a manual, but incredibly smooth on starts and stops, unlike other manu-matics I have driven. In normal mode, you will hardly notice it at all. In Sport mode it has the right mix of drivability and performance on demand. In Sport-Plus, it becomes a true race car - if you don't manually shift it on the street, you probably won't get out of 2nd gear! The convertible top is an engineering marvel. It is very fast and extremely precise, with not a hint of wind noise or water leaks. Stop it halfway up and be amazed at the fine German craftsmanship. I love that it has the exact shape of the coupe, so the car still looks fabulous with the top up. I have not had a single issue since I have owed the car, so reliability for me has been outstanding. Maintenance costs can be very high if you use the dealership, but I am a motorhead so I do my own oil changes, brakes, tire rotations, etc. The motor is not easy to get to, but even plug changes can be done from below, so it has not been a problem yet. So unless something changes, I give this fantastic sports car 5 stars all around!